Fridays at 6 p.m. & 9 p.m.
FREE Saturdays at 6 p.m. Note: ACE movie events are open to the public. If an event is FREE, tickets will be distributed at Sharky's Box Office and Game Room starting one hour before the show time. Special weekend film showings may be free for everyone. Check listings on www.uncw.edu/lumina. for details. Select Thursdays at 6 p.m.
Click here for 2019-2020 Keepin' it Reel Application - deadline for fall May 2019. Co-Sponsor a Movie with ACE! The Association for Campus Entertainment (ACE) Films Committee reserves a limited amount of money to co-sponsor film events with UNCW offices, departments, and student organizations. If your office or organization is interested in co-sponsoring a movie with ACE, please submit a Co-Sponsorship form. 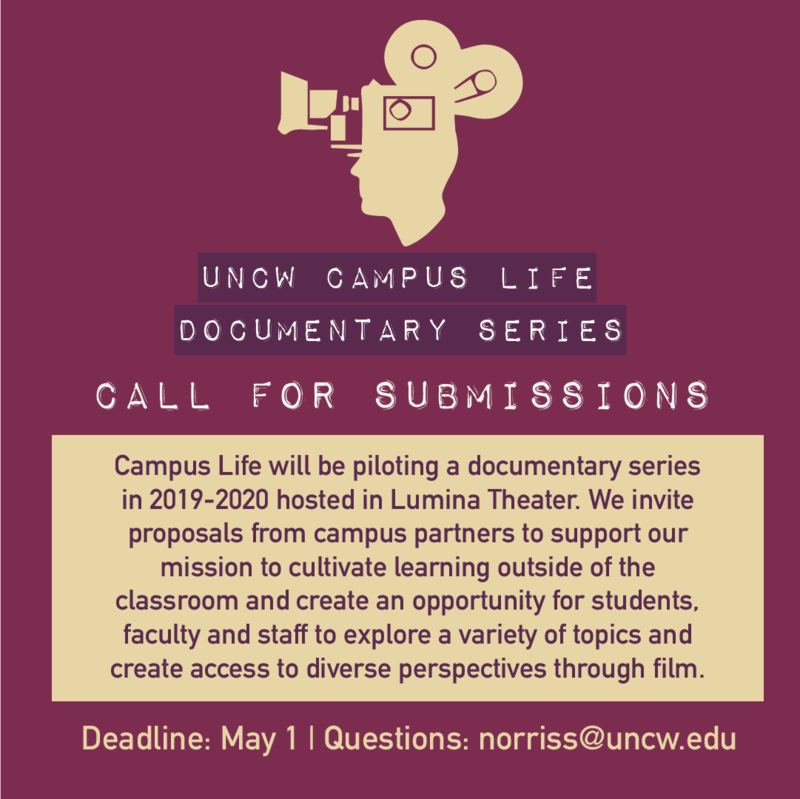 Campus Life will be piloting a documentary series in 2019-2020. We invite proposals from campus partners to support our mission of cultivating learning outside of the classroom and create an opportunity for students, faculty, and staff to explore a variety of topics and create access to diverse perspectives through film. Applications for fall 2019 are due May 1.